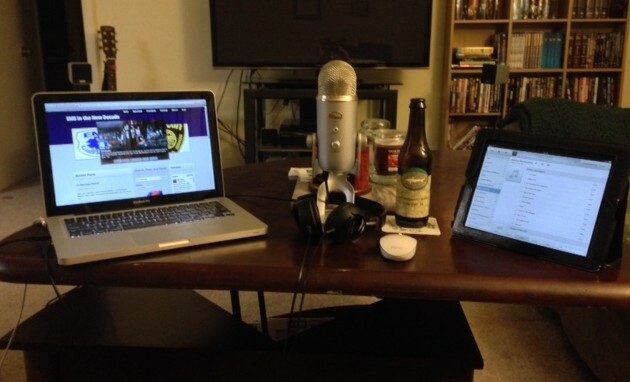 Home » Featured » EMS in the New Decade: The Podcast! Yes, you read that title right: The Podcast. The time has come for me to finally do what I have wanted to do for a couple years now. On Monday May 5, I will release the first episode of my podcast carrying the same title as this blog. This is something that I have wanted to do for a long, long time, and have been asked to do by a few people but I never really felt that I had the time. A lot of the roadblocks that I had keeping me from doing this are not there anymore, and it is time for me to take the plunge. Monday’s show will be an overview of what to expect from the episodes to come. Shows will be posted weekly on Monday mornings at 10:30am EST, and will be listed along with my other blog posts on the homepage of my blog. In addition to that, there will be a link in the menu to take you to the index of all of my podcast episodes. Also, I am currently creating an index of past episodes of other shows that I have been part of. They will be part of this menu page as well. It feels really good to be back writing at 100%. The major life change, and employer change took its toll on me for a while. It is not easy to start over in a new system with new people, new protocols, and new everything. I was ripped from my comfort zone, and it took me a while to get back close to it. I’m not there yet, and there’s challenges that I am dealing with every day, but to be back writing is an important part of that for me. It just seems like the next logical step for me is to get back into podcasting, and even more logical to finally host my own show. I really cannot tell you how excited I am about this. Thanks to the support of people like Ben Neal, RJ Stine, Random Ward, Natalie Quebodeaux, and of course Kyle David Bates, Chris Montera and Jamie Davis, I am finally going to make it happen. Can’t wait to hear it. Good on you for taking the new leap into podcasting.